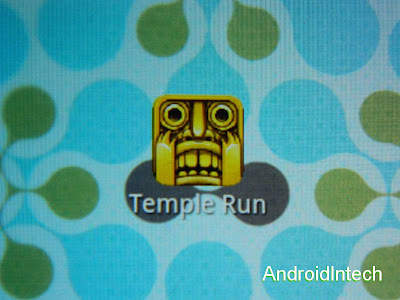 Temple run was previously only present on iOS platform. It made its way to android recently and there are several good things about the game that makes you play. How is the experience? Check out the review below. This game is very simple to control. 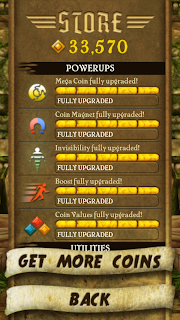 To play the game all you need to do it jump over obstacles, turn right and left and collect coins. Simple controls enriched with goodies makes this game very feature rich. The game starts and you are treated with a way with water on left and right sides. 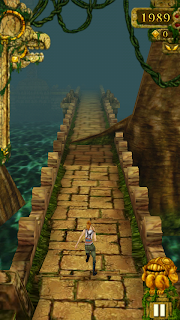 Obstacles are tree trunks and you need to jump over them, turn as the road turns. 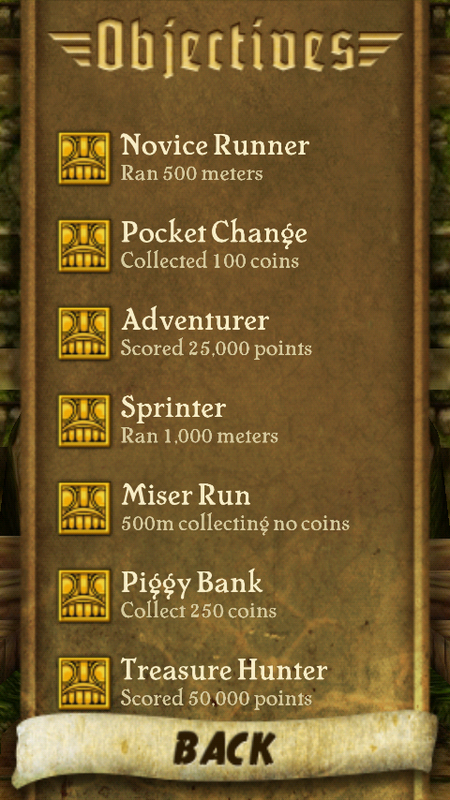 There are also coins in the way and you need to collect them. You need to collect 100 coins to fill the tank. Scoring continues until you keep running. This game has delightful graphics. You are treated with very jungle like environment with the creatures of the wild following you and you need to run from them. 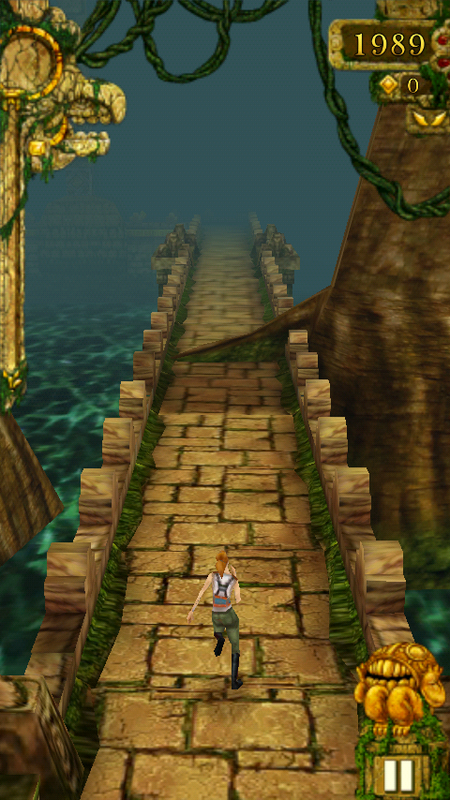 The graphics on this one are better then the one on iOS version. The sound coordinates the rush and you can feel the game. It is an interesting game. Objectives - You can complete objectives as you proceed and that keeps you interested in game. Starts from simple goes tough as your level of gameplay increases. Stats - Provides latest statistics of your game. Store - There is a store from where you can buy goodies to use during your play. 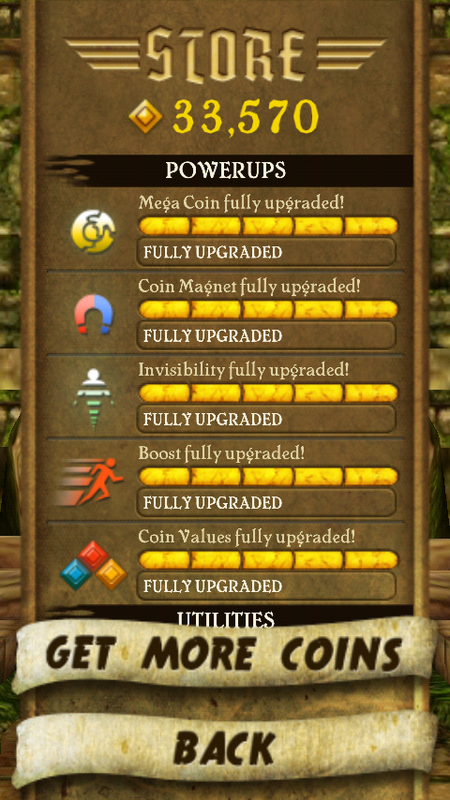 Goodies include Powerups, utilities and characters which you can unlock by collecting coins. You can tweet your score. You can play this game on TV if you have an HDMI based phone because the controls of this game are based on swiping.